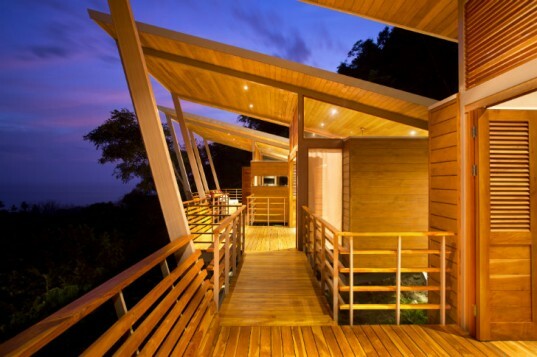 One of Modverde’s projects, Casa Flotana in Costa Rica, was featured in Inhabitat designs that save the world online magazine. Modverde worked closely with architecture Benjamin Garcia Saxe on building this sustainable home that sits on the side of a mountain, just above the trees with white water ocean views. Located in Puntarenas, this private home hovers on a steep site with commanding views of the ocean and surrounding jungle. Rather than dig into the hillside, Garcia Saxe came up with a plan to use prefab modules set on stilts to minimize impact and create a home that exists in harmony with its surroundings.